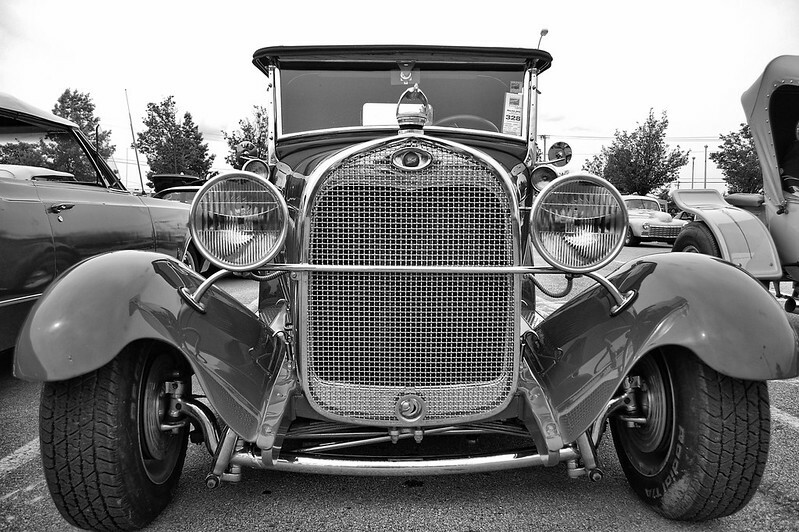 There were so many great automotive machines at the Blue Suede Cruise, and they all made great subjects for some black-and-white photography. The people-watching was pretty sweet, too! Here are a few more shots that I processed. Click through on the photos to see them large on black, as they should be viewed. Enjoy!! These were all made with my Nikon D5000 using an 18-55mm zoom. 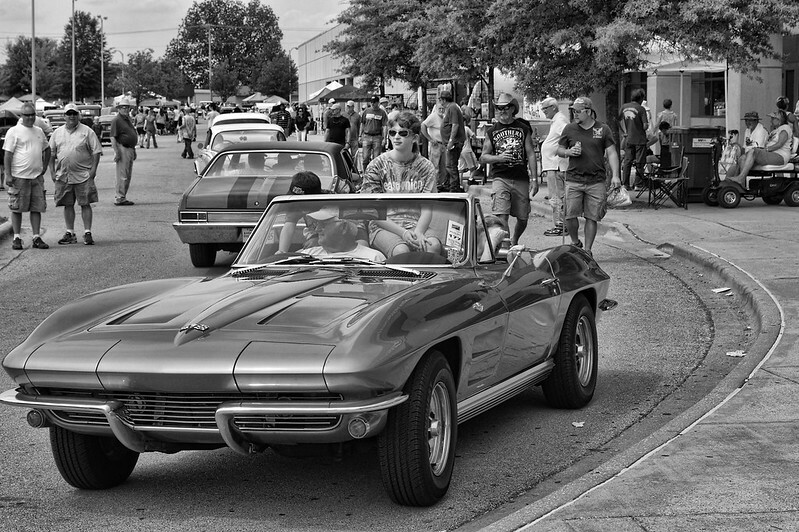 All shots were processed in Paintshop Photo Pro X4 using Topaz Black & White Effects plug-in. You can see some of the earlier shots that I posted here. 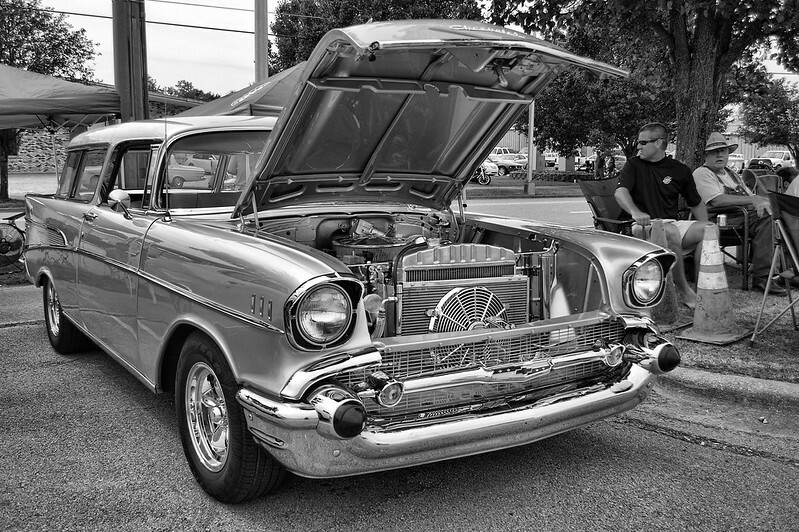 This entry was posted in Information, Shooting and tagged auto, B&W, Blue Suede Cruise, classic car, D5000, festival, Mississippi, Nikon, Paint Shop Pro, photography, Topaz, Tupelo. Bookmark the permalink.